The 12th edition of Indian Premier League (IPL) has seen many things from mankading to controversy. There was another one which has recently added in the list. Chennai Super Kings (CSK) captain MS Dhoni entered in the ground at Sawai Mansingh Stadium ground in Jaipur on April 11 during the game against Rajasthan Royals (RR) and started arguing with the umpires over a no-ball. He is best known as ‘captain cool’, however, his this behaviour left everyone in surprise and many felt that he shouldn’t do it. However, the issue didn’t end there as MS Dhoni was fined 50 per cent of his match fee. 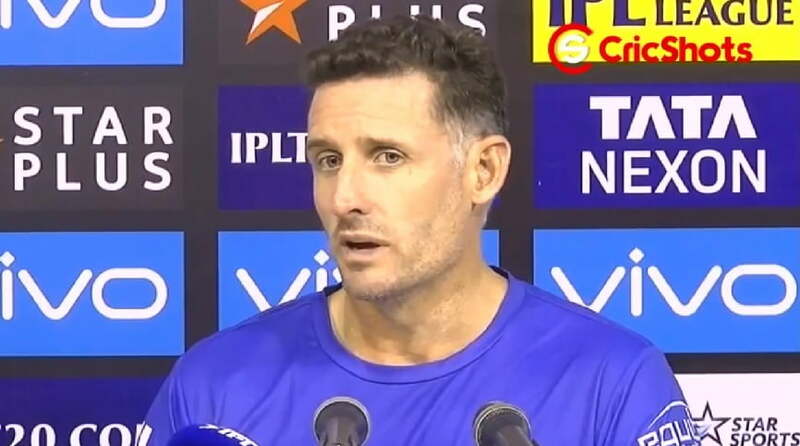 The batting coach of Chennai, Mike Hussey, the former Australian cricketer, shared that they have moved on from that incident and it would have no impact on the upcoming games. “It’s (incident) like having a loss. And again, you move on to the next match as quickly as you possibly can. So to be honest, we haven’t spoken about it. It’s been dealt with and we’ve moved on,” Mike Hussey said as stated in India Today. “Yeah, it’s all happened and it’s been dealt with pretty much right after the game. And the game is finished and that’s the thing about the IPL. You get to move on to the next match very quickly. There’s no point us dwelling on it. Worrying about and stressing about it, we’ve got to move on,” he further added. The incident happened in the final over of Chennai’s run-chase. The fourth delivery was a waist-high delivery from all-rounder Ben Stokes which was given a no-ball by the on-field umpires, Ulhas Gandhe. But the leg-umpire declared it as a normal delivery. It was then seen that Ravindra Jadeja was protesting and Dhoni entered the field and started arguing over it. However, Mitchelle Santner smashed a maximum in the final ball and Chennai registered another win.